DeanMurdoch wrote: At the risk of stating the blatantly obvious, these next two home games are huge. Last ones of the year the Chiles and hay needs to be made to salt away a sixth-or-better finish in the standings. DeanMurdoch wrote: p.s. It sure is nice to have a reason to care about conference tournament seeding and how the rest of the conference does on a daily basis - wasn't really the case in 2011-12 and 2012-13. Totally agree! The guys are so close to having an upper division season. Would sure love to see them keep up the #youdidntseethiscoming. UOP beat LMU this afternoon.....which could add a great deal of meaning ot the last game of the regular season in Stockton. It's been a tough senior year for Anthony Ireland....but congratulations to him for going over the 2,000 point mark. USF had opportunities in Provo, but faltered in the end to lose 68-63. BYU takes over second place. Meanwhile, GU blew a 10 12 point lead and lost to Memphis 60-54.
up7587 wrote: Meanwhile, GU blew a 10 point lead and lost to Memphis 60-54. A tough week in the holding-on-to-leads department for the Zags. * It would be nice for UP if the wonderful SCU guards can put it all together against USD like they did against UP in December, and SMC and LMU win. Drandon Clark 23, Jared Brownridge 17, combined 7 of 13 from 3PT, and SCU wins at USD 69-63. In league play every underdog won or beat the spread. Pilots remain in 6th place, 1.5 games behind Pepperdine, and 1 game ahead of Pacific. Big week coming up. Here's a stat that snuck up on me...I watch a lot of the TV games without sound so they might have mentioned it, but the Pilots are now up to #15 in the nation in 3-pt percentage (39.8%). Pressley is an even .500 for the year from three-point range. Impressive. Yes, the Pilots have been very efficient shooting the 3-ball....they are actually #1 in WCC play with an efficiency rating of 44.5%. The Pilots had struggled DEFENDING the 3-pointer prior to WCC action, but they are now #2 in league play, allowing 35.3%....GU is #1 at 33.8%. 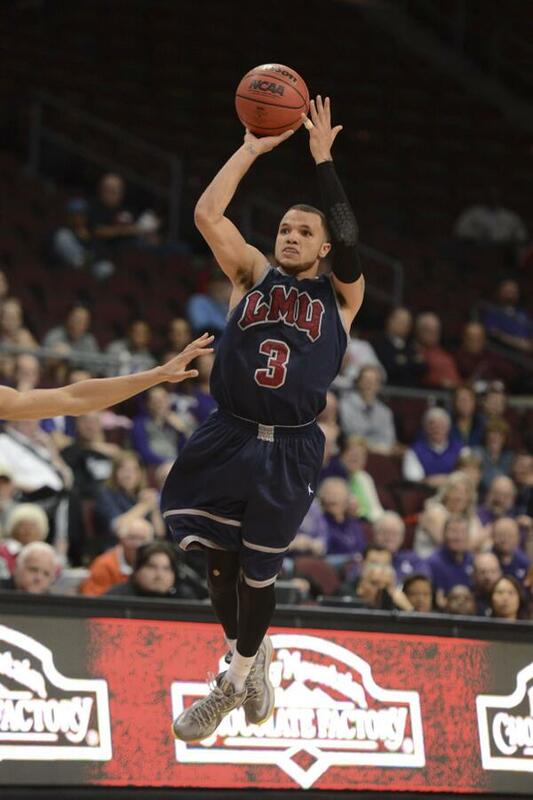 UP's next opponent, LMU and Anthony Ireland, is last in league play in converting 3-pointers, and they are 9th in defending against the 3. DeanMurdoch wrote: Pressley is an even .500 for the year from three-point range. Impressive. That's nothing. Riley Barker is shooting 1.000 for the year (1-1). Pilots are shooting fewer 3PT attempts per game, 15, than any other team except Oregon St in the top 20 in 3P%, and they are tied for #231 in 2P% (.478), so their overall points per shot is tied for #99. They are also tied for #31 in Free Throw %. Sounds like they need to shoot more threes. PurpleGeezer wrote: Sounds like they need to shoot more threes. Sounds like they need to convert more of their layup attempts. My way is more fun. Gonzaga holding steady at a No. 7 seed. BYU with a tiny bit of leg room now up to No. 11 from the play-in 12/12 games. SMC looking like a middle-of-the-pack NIT team at this point but have BYU and GU in Moraga over the next couple of weeks. Saint Mary's helping out against USD, but Pacific just reeled off an 8-0 run against BYU and now lead by 13 with seven to go. Would have been nice to have been two games up for sixth but not good news out of Stockton right now. And Pacific finishes off BYU. That's not ideal if you're a Pilots fan. Oh well, UP will just have to keep winning. Well, they shot 18 of them tonight against LMU. And hit 8 of them for 44%. Pressley is a stealthy 3-point marksman! They also shot 20 of 39 from 2PT range tonight, for 51%. But they were only 58% on FTs (7-12). NoPoNeighbor wrote: Pressley is a stealthy 3-point marksman! Trivia question: Who is the Pilots' 4th leading career scorer among active players? Answer in the next post. Nicholas and Bailey have both passed the D-I career 1,000 point milestone this season. I was wondering where the other Pilots stand. I'd expect VDM to break the 1,000 point barrier early next season. Of the remaining guys on the roster, Pressley and Wintering might have a chance of scoring 1,000 in their careers. Pilots take over 5th place in the WCC with today's win. I'm rooting for Santa Clara tonight. A Broncos' victory brings the Pilots within one game of 4th place. Hahahahaha…..the broadcasters of the USF vs. SCU game agreed that Rex Walters should probably be the coach of the year in the WCC. Speaking of which….I noticed that 6-11, 280 lbs sophomore backup center Tao Xu has decided to go back to China and left school. He’s already been deleted from the USF roster….but not the team picture. DoubleDipper wrote: Hahahahaha…..the broadcasters of the USF vs. SCU game agreed that Rex Walters should probably be the coach of the year in the WCC. I had to calculate TOs per game for each team, and UP ranks #5 best in that stat. The average ranking of UP in all of these stats is #3.6. Conclusion: this is a pretty decent team, playing better than their record would show. Areas of biggest needed improvement are being more efficient in scoring FGs, and cutting down on TOs. Additional conclusion: Rev and the staff, while not yet returning to the 20 win seasons of a few years ago, have done a good job with this group of players. There are four departing seniors, but only one is contributing offensively. Next year's team will have six seniors, and all should be able to contribute. With only one sophomore and one freshman playing, the cupboard is looking bare down the road. But, live for today! We know the coaches are working hard to get future players. We need to balance the classes to get out of this cycle of 2 years on, 2 years off. This could be done by filling a couple of the 2015 slots with transfers, rather than bring in 6 freshmen. VerbalCommits shows that we've got out eyes on 3 JUCO shooting guards and 1 JUCO power forward. I'm not convinced you can build a team with transfers. Don't get me wrong. Players like TJ and Bobby are great additions, but a Jc player only has two years, for the most part, and for many, it takes a year to get use to the program. Each addition adds to the issue of whether the return is as I effective as having a player four years.